A2 wall chart. 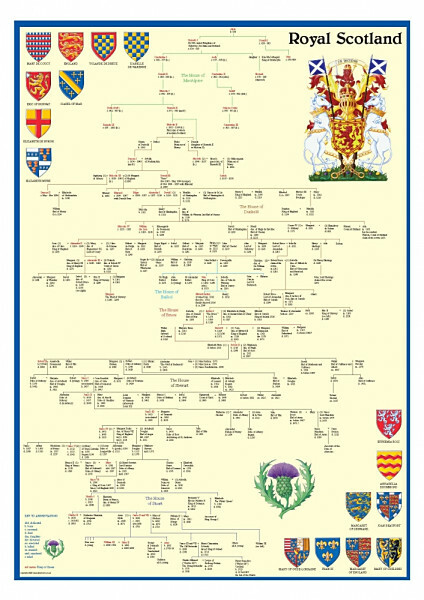 A family tree of Kings and Queens of Scotland from King Alpin to the last of the Stuarts. 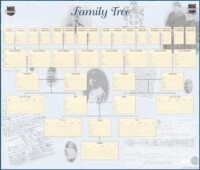 The map features associated Coats of Arms and was fully researched by professional genealogists. Supplied folded. Size open 59.4 x 42 cm approx.